Trust in leadership of all sorts today is less than it was at the height of anti-authoritarian rhetoric in the 1960s. We could easily assume—and people have argued—that this modern lack of confidence in leadership reflects something gone terribly wrong—broad failure on the part of leaders, a loss of moral integrity on the part of those being led, or even an impending collapse of society. My work with others at the Seattle-based Institute for Creative Development examines how Modern Age institutions and ways of thinking are not the ideals and end points we often assume, how they are giving way to an important to next chapter in understanding, what I call a new Cultural Maturity. Key to these changes is an essential “growing up” in how we understand, relate to, and embody authority. That includes authority of every sort, from that exercised in leading nations; to the expertise of teachers, doctors, or ministers; to the authority we apply in making the most intimate of personal life choices. If this explanation is not the major factor now in what we see, it will be a major factor in the long term. Hope and the Future describes how leadership has evolved through history, an evolution that involves not just what leadership looks like, but what makes it leadership at all. Modern concepts of leadership arrived some three hundred years ago with the rise of democratic principles and the emergence of individual determination as a rallying cry. The new leadership assumptions and approaches that then emerged directly challenged the more heredity-based and dictatorial/authoritarian leadership practices of the previous stage in culture’s story. The mechanism that psychologists call “projection” helps clarify why a further chapter in how we conceive of and engage leadership will be essential going forward. The projecting of our power onto leaders has always before been central to the workings of leadership. This is most obvious with leaders of times well past, such as pharaohs and kings, who were seen, if not as gods, then certainly as god-like. But in a similar if not quite so absolute way, we have continued to make leaders heroic symbols in modern times. We described John Kennedy using the imagery of Camelot. We depicted Ronald Reagan as a mythic father figure. In a related way, we’ve symbolically elevated not just political leaders, but authorities of all sorts—religious leaders, professors, doctors, and leaders in business. Projecting our power onto leaders has served us. Idealizing authority has protected us from life’s easily overwhelming bigness. It has provided a sense of order in a world that would otherwise be too complex and deeply uncertain to tolerate. But leadership as traditionally conceived stops short of a full realization of what it means either to be an individual or to exercise authority. 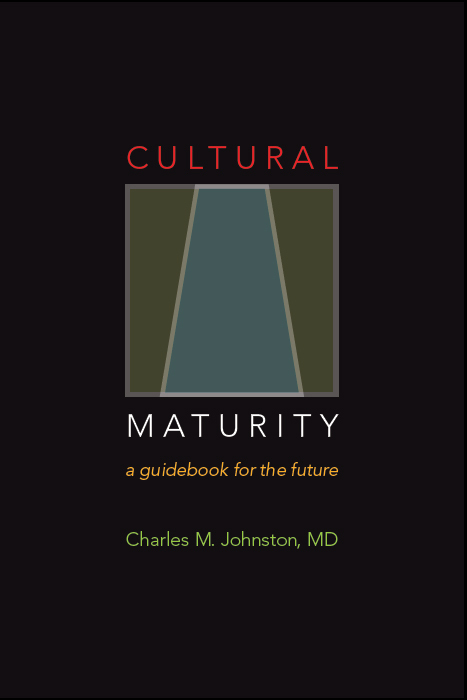 The concept of Cultural Maturity describes how the possibility of a healthy and vital human future hinges on a more grown-up kind of leadership, leadership that more effectively reflects the whole of who we are. Given today’s crisis of confidence in leadership, it would be easy to argue that such more sophisticated leadership is a long way off. But this diminishing of confidence is also consistent with what we would predict as old forms of leadership give way to more culturally mature possibilities. It may be not so much that leaders themselves are failing today, than that old forms of leadership are failing. 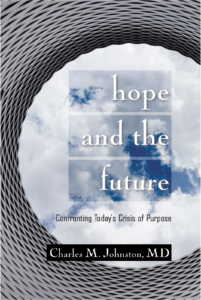 Hope and the Future describes how we see changes consistent with the needed, more sophisticated kind of leadership with authority relationships of many sorts. Some of the most important social innovations of our time link the opposite halves of authority-related polarities—teacher and student, doctor and patient, minister and churchgoer, president and populace. They reflect a more mature and systemic leadership picture. Authority relationships of all sorts are becoming more two-way, with more listening and flexibility on the part of leaders and more engaged and empowered roles for those who draw on a leader’s expertise and guidance. I am careful to emphasize that these changes are far from complete. We reside in an awkward in-between time in their realization—a situation that often makes for difficult circumstances. We tend to be much better at demanding the gift of culturally mature leadership than at knowing what to do with it. We may want leaders to get off their pedestals, but frequently when they attempt to do so, we respect them less, not more. We want leaders to be more transparent, to reveal more of themselves and to make fewer decisions behind closed doors; however, when they do, our first response is often to attack them for their human frailties. But in Hope and the Future, I argue even this awkward, in-between place is a start. And it is a start toward a kind of change that should more and more define human possibility.